Scunthorpe based corrugated sheet manufacturer, CorrBoard UK Limited, received a £12 million funding package from U.S. financial services company, Wells Fargo Capital Finance UK, a transaction that was sourced and advised on by Sheffield based deal-making firm, Castle Square Corporate Finance. The company started trading in 2014 having been formed by a consortium of UK based packaging companies, who have since been joined by VPK Packaging Group. 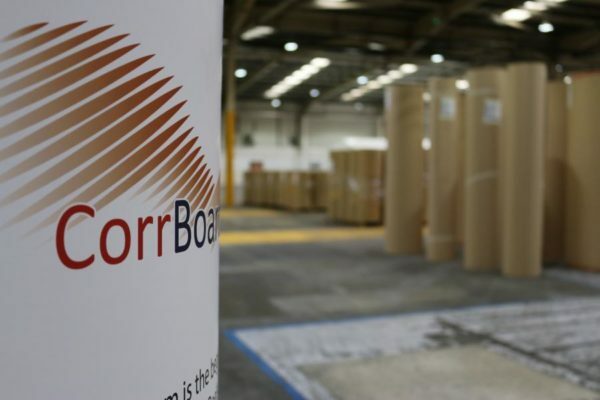 CorrBoard operates from its 320,000 square feet modern, state of the art production facilities and is on track to achieve a turnover approaching £45 million in the current year. The Castle Square team was led by director Kevan Shaw, with Patrick Lynch also advising on the transaction. Legal service to the company was provided by Jonathan Heaney and David Harris from the Glasgow office of Burnes Paull Solicitors. Ian Bramley of Wells Fargo headed up the team from Wells Fargo who delivered the funding package. The company currently produces an annualised volume of 130 Million m² of sheets, of the state-of-the-art 2.8mm fast change Fosber corrugator and produces 35 Million m² of single faced product from the same machine.